This end-user licence agreement (EULA) is a legal agreement between you (End-user or you) and Vuwbo of 39 Apperley Road, Stocksfield, Northumberland, NE43 7PQ, United Kingdom (Licensor, us or we) for use of the Vuwbo application software (all versions), as well as of the data supplied with that software (App). We licence use of the App to you on the basis of this EULA and subject to any rules or policies applied by any appstore provider or operator from whose site, located at [website address] (Appstore), the End-user downloaded the App (Appstore Rules). We do not sell the App to you. We remain the owner of the App at all times. This App requires an Apple iPad device, internet access and the iOS8 or higher operating system. If you do not agree to the terms of this licence, we will not license the App to you and you must stop the downloading process now [by clicking on the “Cancel” button below]. In this case the downloading process will terminate. 1.1 The terms of this EULA apply to the App or any of the services accessible through the App (Services), including any updates or supplements to the App or any Service, unless they come with separate terms, in which case those terms apply. If any open-source software is included in the App or any Service, the terms of an open-source licence may override some of the terms of this EULA. 1.2 We may change these terms at any time in which case the new terms will be displayed on-screen and you will be required to read and accept them to continue your use of the Services. 1.4 You will be assumed to have obtained permission from the owners of the handheld devices that are controlled, but not owned, by you and described in condition 2.1 (Devices) and to download or stream a copy of the App onto the Devices. You and they may be charged by your and their service providers for internet access on the Devices. You accept responsibility in accordance with the terms of this EULA for the use of the App or any Service on or in relation to any Device, whether or not it is owned by you. 1.7 Certain Services, will make use of location data sent from the Devices. You can turn off this functionality at any time by turning off the location services settings for the App on the Device. If you use these Services, you consent to us and our affiliates’ and licensees’ transmission, collection, maintenance, processing and use of your location data and queries to provide and improve location-based products and services. You may withdraw this consent at any time by turning off the location services settings on your Devices. 1.8 The App or any Service may contain links to other independent third-party websites (Third-party Sites). Third-party Sites are not under our control, and we are not responsible for and do not endorse their content or their privacy policies (if any). You will need to make your own independent judgement regarding your interaction with any Third-party Sites, including the purchase and use of any products or services accessible through them. 2.2 When you purchase the App without also purchasing a full subscription to the Vuwbo online service (Subscription), you may download or stream a copy of the App onto a single Device only. 2.3 When you purchase the App and also purchase a Subscription, you may download or stream a copy of the App onto an agreed number of additional Devices. (h) to comply with all technology control or export laws and regulations that apply to the technology used or supported by the App or any Service (Technology), together Licence Restrictions. 5.1 You acknowledge that all intellectual property rights in the App and the Technology anywhere in the world belong to us or our licensors, that rights in the App are licensed (not sold) to you, and that you have no rights in, or to, the App or the Technology other than the right to use each of them in accordance with the terms of this EULA. 6.1 You acknowledge that an important aspect of the App’s functionality requires the collection of lesson data, and that such data will include personal data as defined in the Data Protection Act 1998. 6.2 You further acknowledge that we are reliant on you for direction as to the extent to which we are entitled to use and process the third party personal data collected via the App. This data could for example include information about individual teachers. 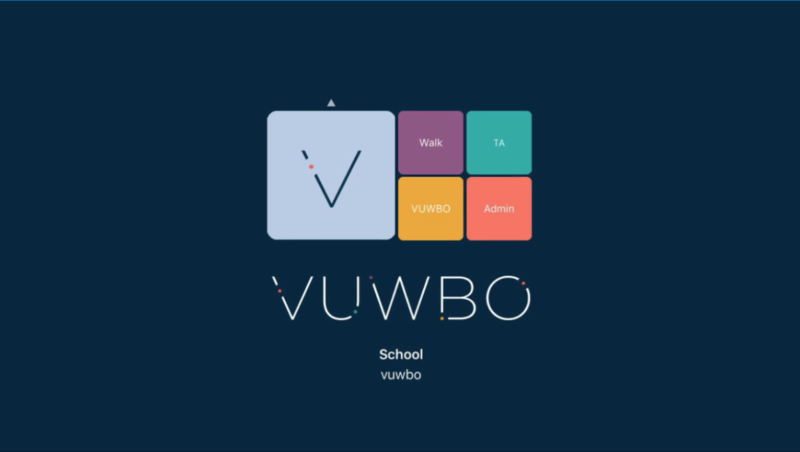 You therefore confirm that unless you notify us in writing to the contrary at info@Vuwbo.co.uk, you have obtained the specific consent of all third party data subjects to the processing of their personal data by us in connection with the operation of the App. 6.3 For the avoidance of doubt, we agree to comply with the Data Protection Act 1998 when processing personal data in connection with the operation of the App. 7.1 You acknowledge that the App has not been developed to meet your individual requirements, and that it is therefore your responsibility to ensure that the facilities and functions of the App meet your requirements. 7.2 We accept no liability to you for any loss of profit, loss of business, business interruption, or loss of business opportunity. 7.4 Our maximum aggregate liability under or in connection with this EULA (including your use of any Services) whether in contract, tort (including negligence) or otherwise, shall in all circumstances be limited to £1,000,000 (one million pounds). This does not apply to the types of loss set out in condition 7.5. (c) you must immediately delete or remove the App from all Devices, and immediately destroy all copies of the App then in your possession, custody or control and certify to us that you have done so. 9.1 If you wish to contact us in writing, or if any condition in this EULA requires you to give us notice in writing, you can send this to us by prepaid post to Vuwbo at 39 Apperley Road, Stocksfield, Northumberland, NE43 7PQ, United Kingdom or by e-mail to info@Vuwbo.co.uk. We will confirm receipt of this by contacting you in writing, normally by e-mail. 9.2 If we have to contact you or give you notice in writing, we will do so by e-mail or by pre-paid post to the address you provide to us in your request for the App. 10.1 We will not be liable or responsible for any failure to perform, or delay in performance of, any of our obligations under this EULA that is caused by any act or event beyond our reasonable control, including failure of public or private telecommunications networks (Event Outside Our Control). 11.5 Please note that this EULA, its subject matter and its formation, are governed by English law. You and we both agree that the courts of England and Wales will have non-exclusive jurisdiction. However, if you are a resident of Northern Ireland you may also bring proceedings in Northern Ireland, and if you are resident of Scotland, you may also bring proceedings in Scotland.